One of the few things we don’t like about RV Fulltiming is dealing with severe weather and the other night we had a big thunderstorm come through. For a few minutes we had nickle sized hail. Tell you what, having hail beating down on the RV is attention-getting! 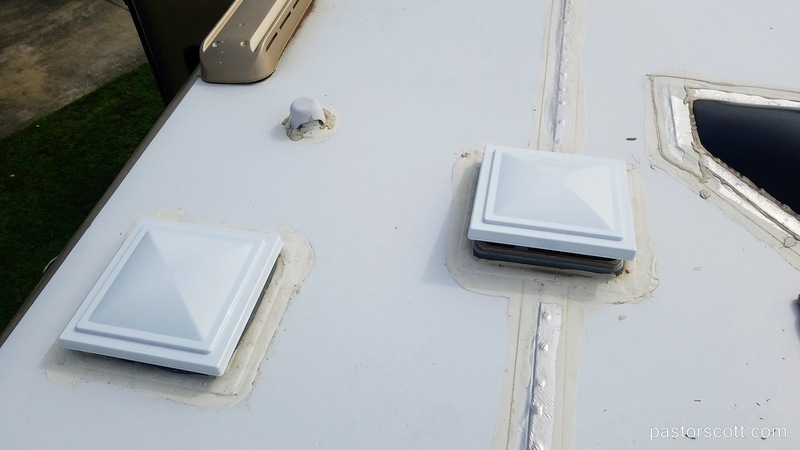 Our motorhome has three roof vents/exhaust fans. One is covered. The other two, one in a hallway and the other in the bathroom, have no cover over the lid. We were already aware that one of those lids had a small corner crack so replacing it was on the agenda. The hail storm, though, moved that project to the front burner. The hail broke through that lid, knocking holes in it. The other lid cracked but held. As the storm continued, I grabbed some gaffer tape and taped the broken lid from the inside the best I could. The next morning I got on the roof to survey the damage. Happily, the only damage was to the two lids. 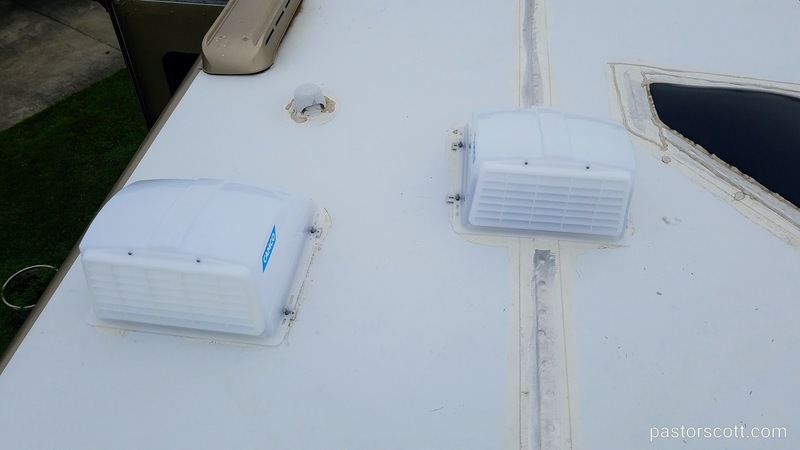 I taped them both up some more and ordered replacements as well as new vent covers. The project was easy enough and in an hour or so I had the new lids plus new covers installed. The covers will not only protect the lids in rough weather and against sun damage but will keep the rain out if the vents are left open. 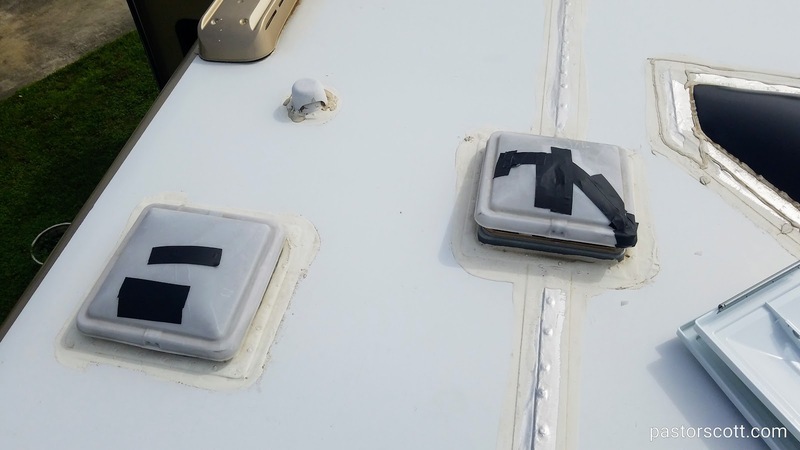 They can also be cracked open when we are traveling to create airflow through the camper. This is an easy upgrade and I recommend it to anyone who has a RV that doesn’t have the covers. This entry was posted in Scott and tagged problems, product, projects, upgrades, weather. Bookmark the permalink.